Every year I hold a Preschool Prom. It's a chance for the kids to dress up and have a fun night with the family at the library. This year we went all out. 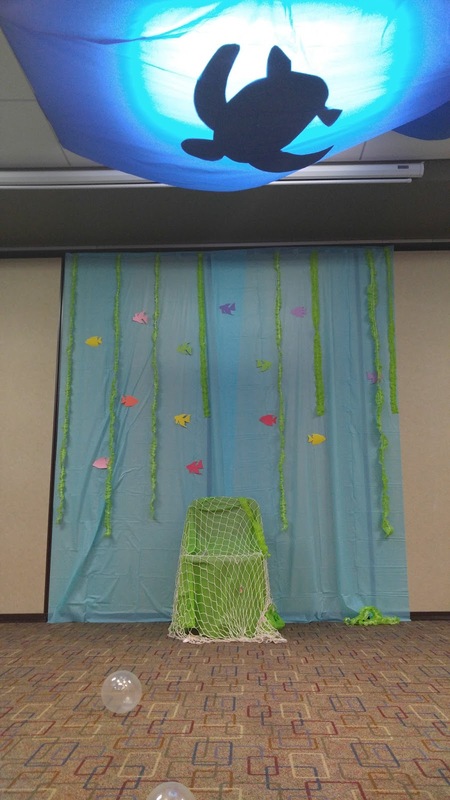 Our theme was "Under the Sea." Thank GOODNESS for Pinterest, or I would not of had as many cool decorating ideas. Also, Princess Ariel was there! 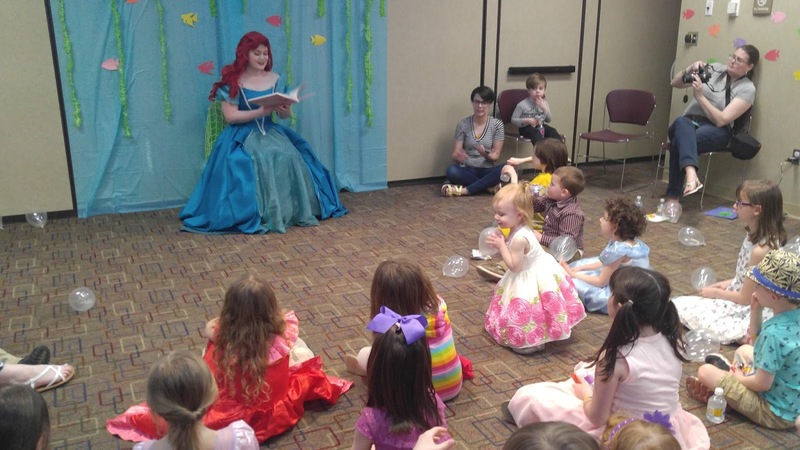 She read to the kids, took pictures, and joined in the dancing. 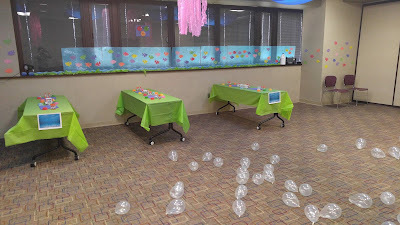 I used a LOT of plastic tablecloths in our decor. 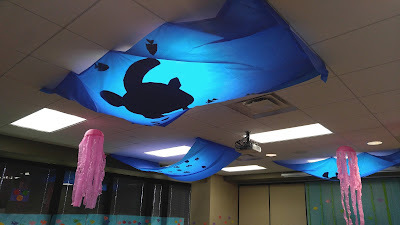 I stuck some blue tablecloths in our ceiling tiles, placing them over lights to create waves. I then cut out paper turtles, and used die-cut fish to create the feeling that you were looking up from the ocean floor. 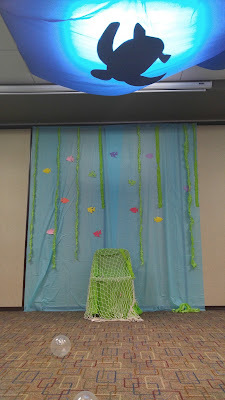 We also made a backdrop and reading "stage" for our guest reader, Ariel. 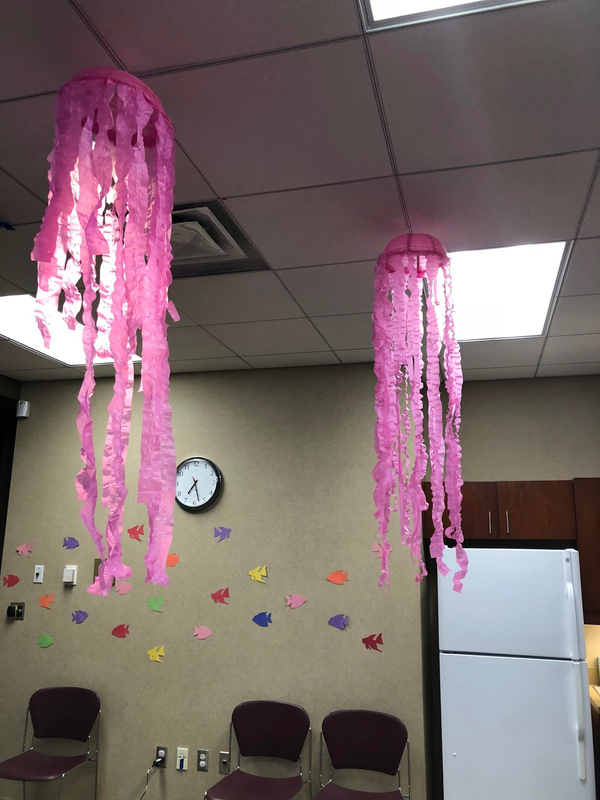 My favorite thing that I made were these jellyfish. I used paper lanterns, pink tablecloths and hot glue. Along the back wall we had our craft tables. We did a simple craft. 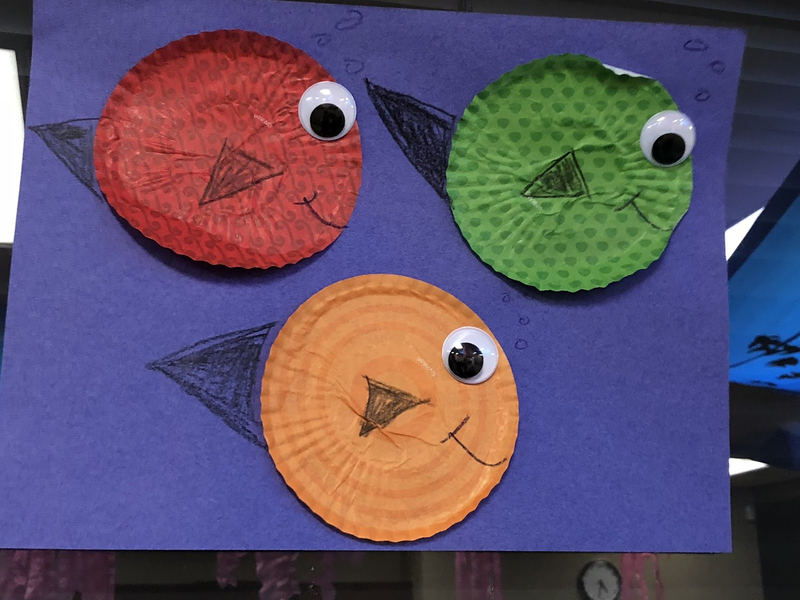 Using cupcake liners, we had the kids create fish and an underwater scene. After crafts and a snack of goldfish and cupcakes, Ariel read to the kids and then we did around 25 minutes of dancing. 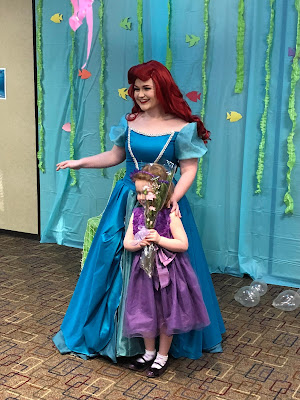 Ariel was from a newer local non-profit so she didn't cost us anything! This program was held a week after Easter which was a great excuse for parents to reuse their child's Easter outfit.